“Free Angela and All Political Prisoners” may seem to take place in a distant past, but it resonates with improbable timeliness. "Shola was superb. She invigorated our campus with her energy and her lecture was nothing short of brilliant. Rave reviews have been pouring in from across campus from those who witnessed the event." 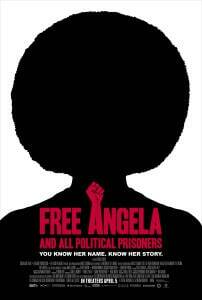 Her latest feature documentary FREE ANGELA & All Political Prisoners is a first hand account of the events that thrust Angela Davis into the national spotlight from a young college professor to a fugitive on the FBI’s Ten Most Wanted list. 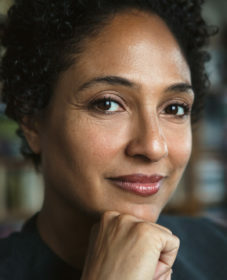 The film premiered at the Toronto International Film Festival and won the NAACP Image Award for Excellence for Best Theatrical Documentary. She is the Curator for Moving Image and Recorded Sound at the New York Public Library’s Schomburg Center for Research in Black Culture. She is working on a book based on Free Angela, and a narrative film on the life of Harriet Tubman. 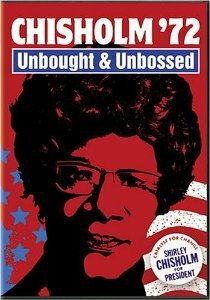 Her first film, Chisholm ’72 – Unbought and Unbossed documents Congresswoman Shirley Chisholm’s campaign for the Democratic Presidential nomination in 1972. She has produced and scripted stories that have aired on BET, CNN, ESPN, HBO Sports, TV One, and PBS.